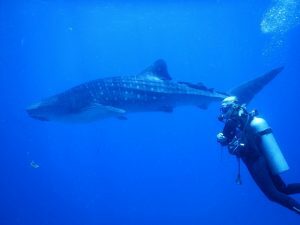 With the beginning of the rainy season not only the summer in Panama but also one of the most beautiful seasons for diving in Coiba comes to an end: The whale shark season. 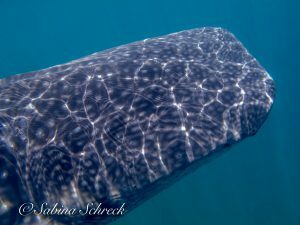 This year, from january until the end of march, we were very lucky to experience many incredible encounters with these enormous and breathtaking creatures, who join us in the waters of the national park every year in search for plankton. 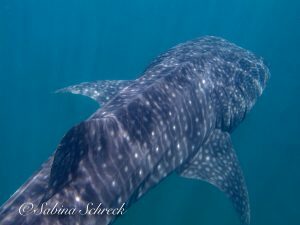 What we do know about whalesharks is unfortunately very little compared to what we don’t know about them. 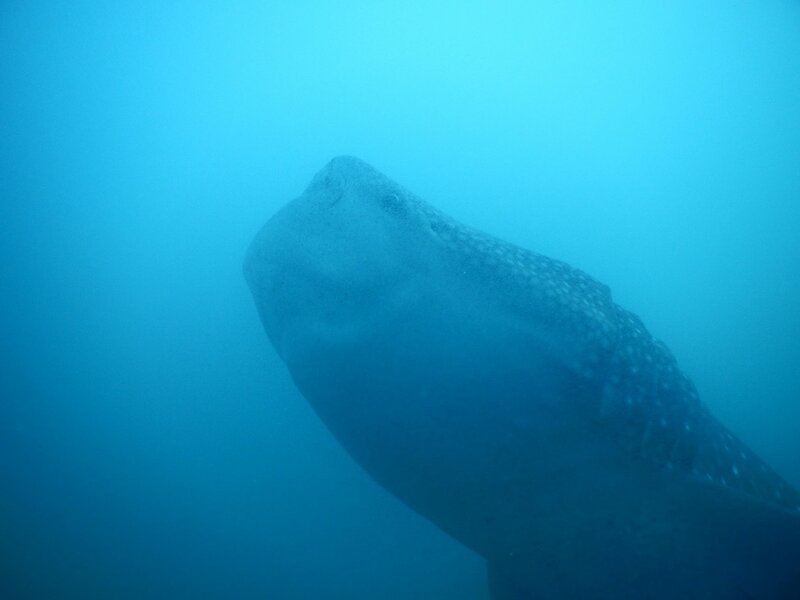 They can reach up to 15 meters in length and can weigh more than 10 tons, which is why they are the biggest fish in the world. They are gentle creatures, living in water temperatures between 20 and 25 °Celsius, moving slowly and most of the time in shallow waters, which is why they are sadly very often a target of boat propellers or fishing nets. 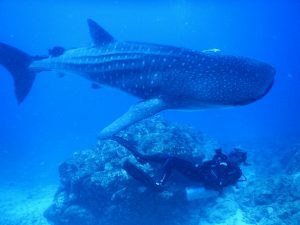 While the world of science has always thought they were big migrators, travelling miles and miles through our oceans to mate, feed and to give birth, a tracking system by Conservation International has shown that for example the whalesharks around Indonesia rather do periodical „short roadtrips“ in different directions before they return to homewaters. 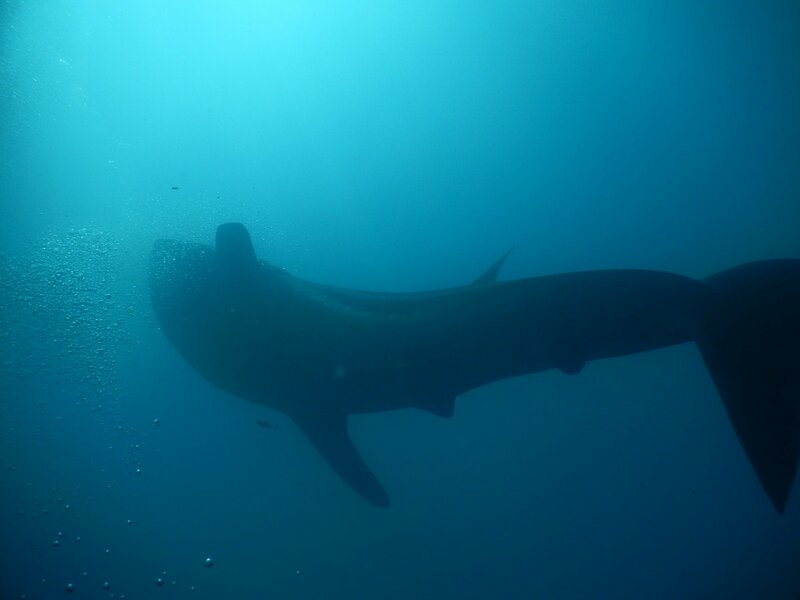 We might never know for sure, but as long as they keep visiting us here in Coiba and enlight our dives with their magnificent presence, we can live with that. 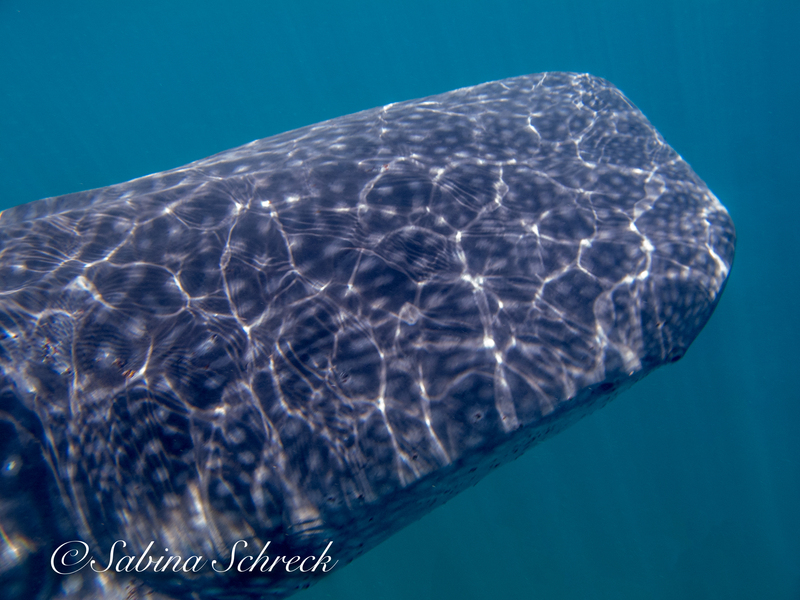 This one we saw in Cativo on the surface, so close! Another amazing whale shark encounter yesterday captured by Camilo! We are keeping our fingers crossed and hoping for more sightings in the coming weeks. We are so lucky to share our dives with these beautiful and gentle creatures! A rare and incredible treat yesterday in Coiba National Park… our divers enjoyed the presence of a stunning whale shark! Thanks to our intern Adele for captuing this video!